MUMBAI: DIVINE added yet another feather to his cap of laurels with a collaboration featuring the legendary rapper Nas. ‘NY se Mumbai’ the latest release on JioSaavn’s Artist Originals label is a global collaboration featuring Indian rapper DIVINE and Naezy, hip-hop legend Nas, Grammy Award-winning producer iLL Wayno, and actor Ranveer Singh. ‘NY Se Mumbai feat. Nas’ (NY to Mumbai) is the end credit song for Gully Boy, starring Ranveer and Alia Bhatt and directed by Zoya Akhtar. Nas is also an executive producer for Gully Boy. 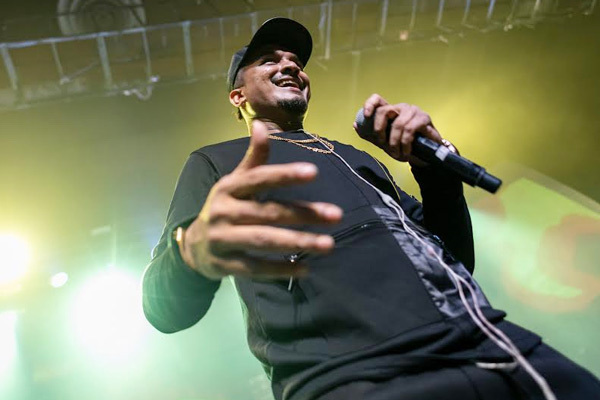 “Nas is my idol, I’ve looked up to him all my life," says the Mumbai-based rapper. “When I first heard his album Illmatic it gave me the chills, I was inspired to tell my story. I saw him perform in Dubai recently... I was shook and inspired all over again. I cannot digest that I’m on the same beat as him. Big shoutout to everyone that made this happen. And Naezy is back! Hip-hop zindabad!" he adds. ‘NY se Mumbai’ was a global production. With Naezy, Divine, and Ranveer recording out of Mumbai, the record was developed with AO producers XD Pro in Toronto; iLL Wayno of Mass Appeal Records, who worked alongside the AO A&R team in New York; and, of course, Nas in Los Angeles. Gully Boy releases on 14 February. MUMBAI: The globetrotting big room house Dutch DJ duo Firebeatz is gearing up to embark on their Spring 2019 North American Tour with an entirely new show to put on for fans. MUMBAI: New York-based musician has also contributed two songs, Kab Se kab Tak and ‘Train song’ for the Ranveer Singh starrer that released on 14 February Fabulous Score: Film critic Baradwaj Ranjan. MUMBAI: Singer Kelsy Karter has got Harry Styles's face tattooed on her cheek as his birthday surprise.Karter has had Harry Styles' face tattooed on her cheek after previously saying she is desperate to record a song on his next album, reports dailymail.co.uk.